Last Sunday Coco Pro hosted a ‘Strengthening and Stretch’ class at their HQ in South West London and I was lucky to attend as one of their competition winners. The class was led by Adrienne Herbert, ambassador for Coco Pro. A Professional dancer, Personal Trainer and mother. As well as fitness blogger of ‘That’s my Mum‘, ‘Midnight Runners’ captain and instructor at Frame Shoreditch. I along with around 20 other girls were greeted by Adrienne who introduced herself to the group and explained that her workout consisted of two parts; Strength and Stretch. We were also introduced to the product Coco Pro. 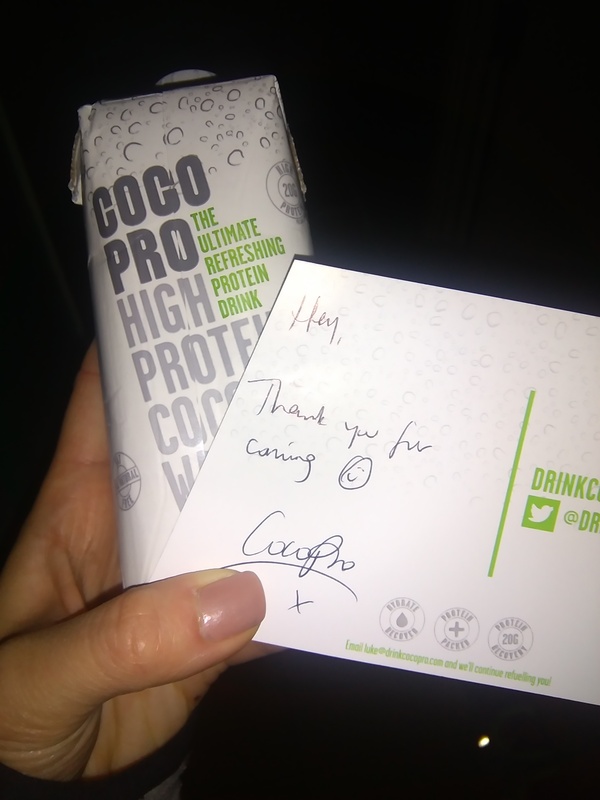 Coco Pro a high protein pure coconut water, the combination of pure coconut water and protein provides the ultimate fuel for your body when it needs it most. CocoPro also provides vitamin C and contains no added sugar. Sweetened with natural ingredients. I first discovered Coco Pro after attending a HIT class, this was certainly a great recovery drink for an intense workout. It is available in original or with Pineapple. My favourite is with the added pineapple. Before getting started Adrienne took us through some gentle warm ups to get the heart rate up. As the class kicked off we were led through a series of cardio and body weight drills for the strength and then a series of dynamic stretching for the Stretch. For a runner (being one myself) this was certainly a challenge. The atmosphere of the class with amazing, Adrienne kept us entertained with her humorous nature. She also demonstrated all the drills throughout the class, it was hard to keep up with her precised and flexible moves. Thank you Coco Pro for a great event providing us with your delicious product and Adrienne for leading us though the workout. I will certainly apply some of the methods to my own training.